The rise of the Chromebook as the number one educational device for schools in the U.S. gives way to the question of whether the same is applicable to schools in the Philippines. The limited budget of most schools and the lack of internet access are the usual challenges that Philippine schools face, although the trend now is for IT teams to start upgrading their infrastructure to accommodate online learning platforms. 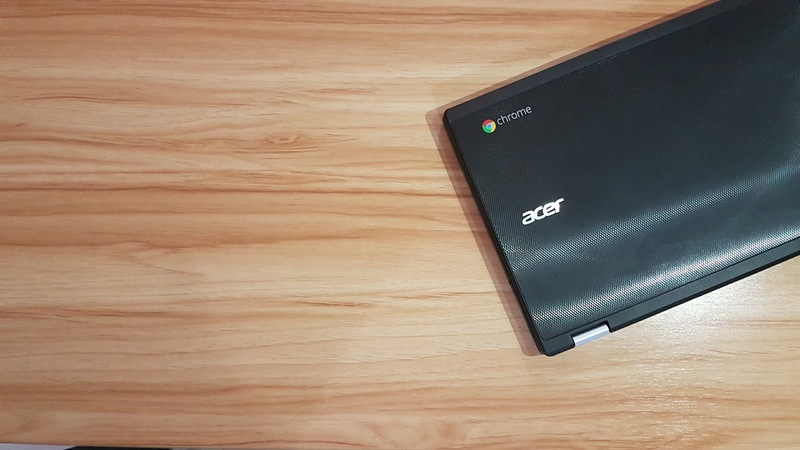 Let's take a look at the primary features of the Chromebook and check out its fit in the current state of schools in the Philippines. Affordable - Perhaps the best selling point of the Chromebook is its low Total Cost of Ownership. There are many brands to choose from, and the more popular ones start at Php 13,500 SRP. These are the non-touch Acer models that are great to deploy from 4th Grade to Higher Ed. There are also Intel-designed, rugged models, like the Edxis Education Chromebook which cost lower, and have unique features such as drop and spill resistance. Even the touch Chromebooks, that are flippable and run Android Apps as well, are affordable at less than Php20K each. Shareable - Chromebooks are built from the ground up to be shared with multiple students. Students can pick up any device and sign in for a personalized learning experience with their own classwork, apps, books and videos. With its tight integration with G Suite for Education, Google's free productivity suite for schools, a student only needs a Google account in order to access their own files, regardless of the device. This means that Chromebooks are best deployed in schools already running G Suite for Education. Simple - Many people who buy Chromebooks for their personal use and as a secondary laptop all remark on one thing: simplicity. It runs ChromeOS, which is free, and updates automatically. The interface of the Chromebook is not difficult to use and understand, whether its for a child who uses the computer for the first time, or an elderly person who still has some fear of new tech. The setup and deployment is also simple and painless, with 93% less time to deploy. We tried deploying 100 Chromebooks, and it took us 1.5 hours, with three people, including unboxing and reboxing. Fast - The Chromebook boots up fast, and stays fast. I have one that is now 3 years old and still boots as fast as when I first bought it. Also, the updates come in small packets, so you won't notice it until you see the UP arrow in your menu that says it's time for your device to restart for the update. A few seconds later, and you're back working on that term paper, or that article about Chromebooks and how they can benefit Philippine schools. Battery Life - Nothing beats the battery life on these devices. The standard battery life of a Chromebook is 8-9 hours. My 13-inch Acer Chromebook runs for 12 hours. This means a whole lot when the Chromebooks are used in the classroom. It means not having to find power outlets or tripping on wires. It also allows students on a 1:1 environment to bring a fully-charged Chromebook to school and leave the charger at home. Centralized management - Google has a device management console for system administrators which gives admins the ability to push policies onto the Chromebooks easily. Note that although this web-based console is part of G Suite, it's not free. The cost is USD30 per device (perpetual), which is approximately Php1,500 per device. The console is recommended though, because it gives an admin the ability to manage the fleet remotely, whether it's 10 devices or 10,000. Apps - The Chrome Web Store has thousands of apps and extensions that will help you get stuff done on the web. There are many app alternatives to popular client apps like Photoshop and Office, and some of these apps run offline, so if the internet is dicey, you can still get work done. The majority of the apps run online though, so it's still recommended to connect to the net when using one. To sum it up, the Chromebook is a great device that needs to be given a chance. I still see some schools going for expensive traditional devices, and that's alright. I believe that a good mix of technologies is necessary in a tech-driven classroom environment. However, it is also true that the web offers a lot of possibilities in self-driven learning, and students rely on it more and more for their schoolwork. It is just a matter of time before more schools become connected. The Chromebook is an investment in technology built for the future, and will not break the bank, and so Philippine schools that are already using Google tools like G Suite will do well to add it to their device evaluation. Visit bluekoreinc.com for more information.